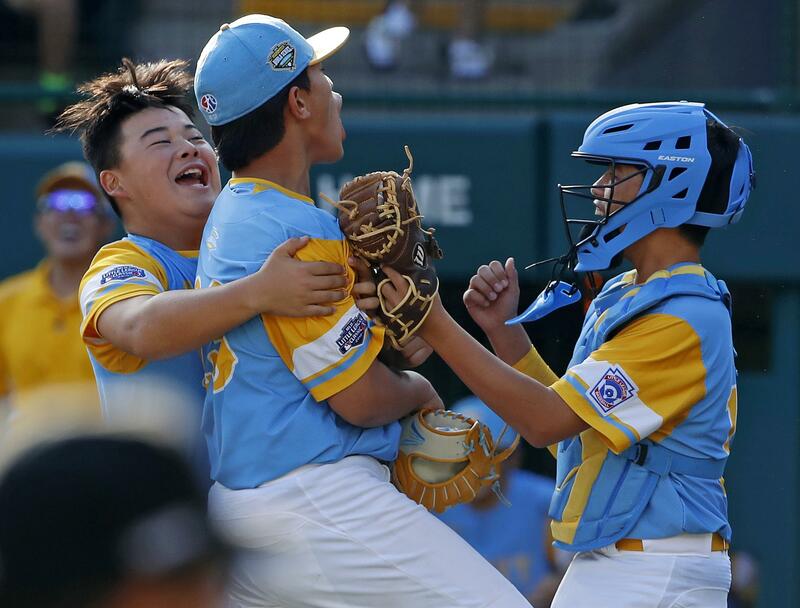 Sat., Aug. 25, 2018, 4:17 p.m.
SOUTH WILLIAMSPORT, Pa. – Dominant pitching Saturday got South Korea and Hawaii to the Little League World Series championship on Sunday. Neither of the starters – Choi Ji-hyung for South Korea and Aukai Kea for Hawaii – can pitch for the title, but that’s OK. They each have done damage with their bats, too. South Korea beat Japan 2-1 in the second meeting of the teams at the tournament. This game was a lot closer than South Korea’s 10-0 mercy-rule blowout of Japan earlier, but the Koreans hung on. In South Williamsport, they have outscored their opponents 21-4 over four games. Hawaii defeated Georgia 3-0, thanks to Kea’s 15 strikeouts and a couple of two-out rallies in the late innings. Hawaii will only need to worry about Choi when he steps up to the plate, but that’s still a problem. Choi has hit three home runs so far, one in each of his last three games. Kim Yeong-hyeon was the closer Saturday and will be the starter on Sunday. Kea, like Choi, won’t be available to pitch Sunday, but he’s not bad at the plate, himself. He’s hitting .500 with a home run and two doubles. Hawaii manager Gerald Oda wouldn’t say who he was starting for the tournament title. This will be the third time a team from Seoul has advanced to the tournament championship in the last six years. In 2014, South Korea won it all, but it lost to Maine-Endwell, New York, two years ago. Hawaii lost in the title game in 2010, but won the championship two years earlier in 2008. Published: Aug. 25, 2018, 4:17 p.m.